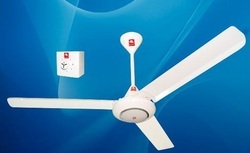 Hayashi range comprises of ceiling fans and ventilating fans, Hayashi Engineers with their expertise are vigilant and committed to providing consumers with the best in quality. A clear understanding of emerging market trends and global preference is the key to success which followed. From the onset Hayashi is a testimony pursuit to deliver value packed products. The quality products are available at affordable price and it enhances your lifestyle.